Kicking Off Dearcroft’s 50th Anniversary Festivities! Pub Night at Moonshine Cafe! We hope you’ll join us later this term for a special evening of celebration as we kick off Dearcroft’s 50th anniversary festivities! Join us on Thursday, March 1st at the Moonshine Cafe in Kerr Village as we gather to chase away the ‘Winter Blues’... while celebrating Dearcroft’s 50th Anniversary and spring’s imminent arrival! 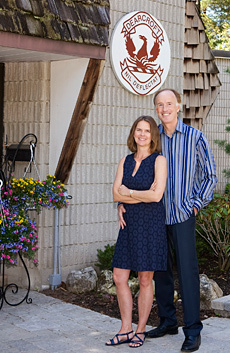 Our MC for this milestone gathering will be long time friend of Dearcroft and resident of Oakville… CBC/Hockey Night In Canada broadcasting legend, Ron MacLean. As one of our country’s best known broadcast personalities and a truly iconic and beloved Canadian, Ron will have some great stories to share, offering insight into our country, our game and the incredible role that hockey and sport has played in binding together our great country from coast to coast to coast. We are also excited to be joined by another ‘Dearfriend’, Mike Branton, one of Canada’s finest blues guitarists. Mike will be providing our musical entertainment with some great blues and classic tunes to warm up the first night of March. The fun begins at 7 p.m. and tickets will be available later this month. 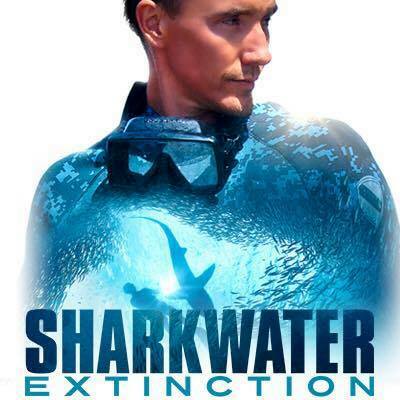 We’ll be raising money that evening to support a new scholarship honouring the memory of globally acclaimed documentary film maker Rob Stewart, a close friend of Dearcroft who died tragically in a scuba diving accident last year in Florida filming while filming a sequel to his remarkable movie, Sharkwater… a stunningly powerful film that alerted the world to the plight of sharks, the barbaric and unsustainable practice of shark finning and the emerging environmental crisis in the world’s oceans. 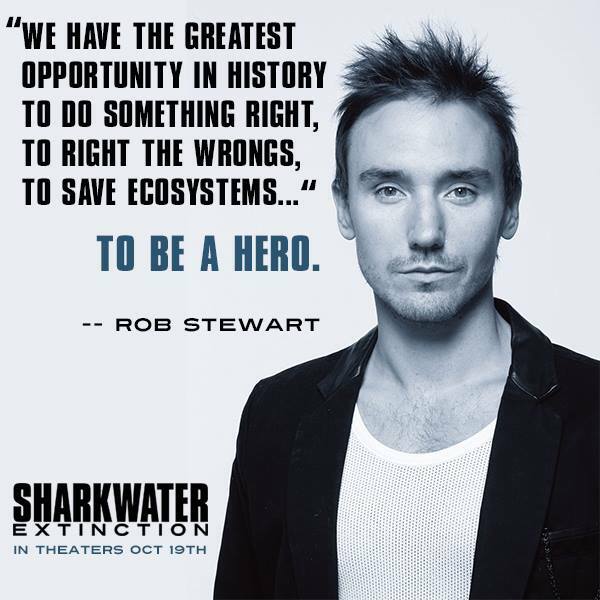 Rob’s films including Sharkwater and Revolution were Canada’s most successful environmental documentaries. They won dozens of film awards around the world… inspiring countless people around the planet with their breathtaking cinematography and clarity of message. At the time of his untimely death, Rob was considered one of the world’s leading voices defending marine conservation and environmental stewardship. 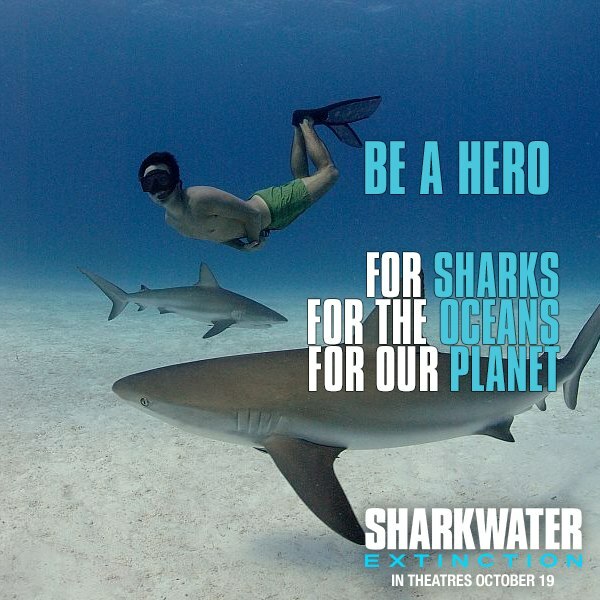 An inspiration to all, his passion for protecting sharks and all forms of life in the oceans brought him global fame. As an advocate for ocean health and the critical need for educating the world about sustainable living, Rob had no equal. His vision, film making excellence and generosity of spirit made his death at age 37 a great loss to Canada and the world. A new scholarship at Dalhousie University in Halifax, Nova Scotia has now been established in Rob’s memory to support students working in ocean science and carry on the critical research needed to support Rob’s message. In recent years, Rob visited our school on several occasions and empowered our students through direct engagement with his film making process as he edited his documentaries. He inspired our students and people around the world through the brilliance of his work. At Dearcroft we are very excited to be developing a new collaboration with Dalhousie University’s Ocean School, a program educating Grade 6-8 students about coastal management, ocean pollution, climate’s affect on the oceans and conservation of marine species. This will lead to future Expedition Education trips for our students to the Maritimes and field studies related to marine science. We will be forever grateful to Rob and Dalhousie (the university he worked so closely with) to bring such important information to the world. Watch for further ticket information coming your way soon regarding our upcoming 50th Anniversary Winter Pub and ways you can help us moving forward in promoting environmental education.